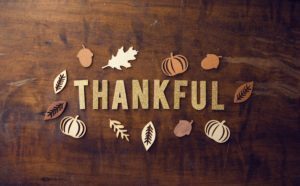 Take a moment at Thanksgiving dinner to share gratitudes. Go around the dinner table and ask each person, including your child, to share something they are grateful for. Don’t be afraid to ask them to dig deeper and explain why they are grateful for it. Make a donation to a charity together. Giving to those less fortunate is a good way to help your child understand gratitude for what they have. As you prepare to give the donation, whether by check or by counting out change, explain to your child how thankful you are for the financial resources you have, and why you are sharing those resources with others who may have less. Write a few thank-you notes. You don’t have to have received a birthday or Christmas gift to write a thank-you note. One way to teach your child gratitude, especially gratitude for things other than material possessions, is to ask them to write a thank-you note to someone that has made a difference in their life. Whether it’s a family member or a teacher, help your child craft a note about why they are grateful for that person. If it’s appropriate, send it to that person. Especially for younger children, highly visual activities like crafts work well for helping them understand concepts like gratitude. We love these ideas from The Bump, like a family gratitude jar, a gratitude tree, or even a gratitude door wreath. 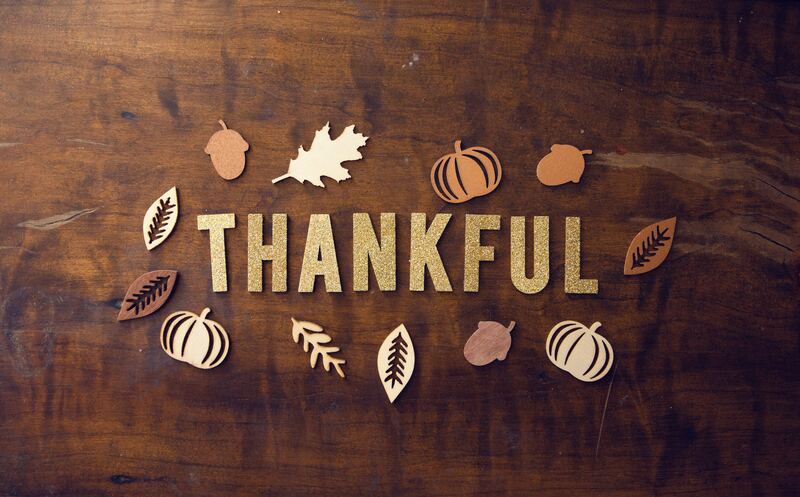 Wishing you and yours a happy (and grateful) Thanksgiving from all of us at PIP! We have regular office hours Monday – Wednesday, from 8:00 am – 5:00 PM. We are closed on Thursday, November 22nd, for the Thanksgiving holiday. We are open the morning of Friday, November 23rd, from 8:00 am – 12:00 pm. We are open Saturday, November 24th, from 8:00 am – 12:00 pm, for acute illness.